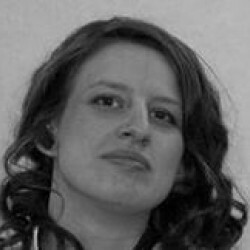 Ourania D’Andre is an electrical contractor who successfully bids for a job at the Fagan mansion. There she is brought into contact with Troy who she has a little history with. They also share grief: Troy’s brother Jason was killed years ago and both bear guilt and sadness over the loss. At first I thought this was going to be a largely romantic novel that saw Ourania and Troy work to overcome their differences, with the added complication that Ourania had become a foster mother to two young children. And that would have been fine – it’s wonderfully written and the chemistry between the two characters was beautifully presented. However, there is so much more to this novel than that. Christine Nolfi has weaved a wonderful plot covering more than one generation and tying up loose ends of the Korcheks (Walt, Emma and their father Buck), the D’Andres and the Fagans. There were hints of the ending before it was reached, so I won’t say it was a shocking conclusion to me but Nolfi made it a shocking conclusion to the characters that played out well. 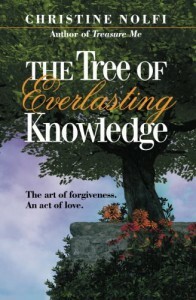 The Tree of Everlasting Knowledge is full of tender moments but also heavy on drama, strong characters and intricate plot twists. I thoroughly enjoyed this novel and it’s a very solid 4.5. As we round down, it seems almost mean to give it four but I console myself that I am simply leaving scope for what I know will be even more compelling writing from this author in future.